On a slightly more somber note: This morning, I got up and photographed a pancake breakfast hosted by a local church to benefit the Japan relief effort. The breakfast is still going on until 11:30 a.m., so if you’re in the area and want to donate to the fund and have your pancakes too, go for it. © 2011 by The York Dispatch. Diane Imler, of Springettsbury Township, places a few homemade cranes and other origami figures onto the welcome table at the pancake breakfast hosted by St. John Lutheran Church on Saturday, March 26, 2011. The church has been advertising the pancake breakfast, which will benefit the Japan relief effort, this week via signs. 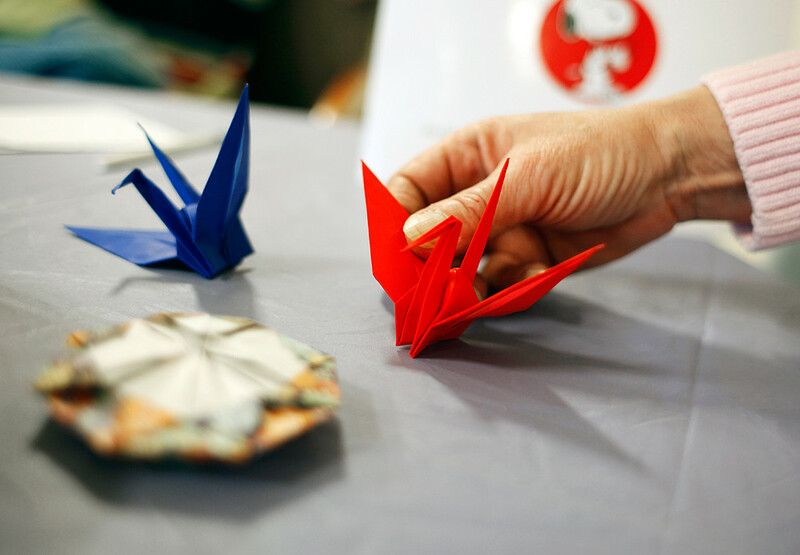 Church members said a Japanese woman who works at a local florist saw the signs and brought the origami pieces to the church to show her thanks. © 2011 by The York Dispatch. 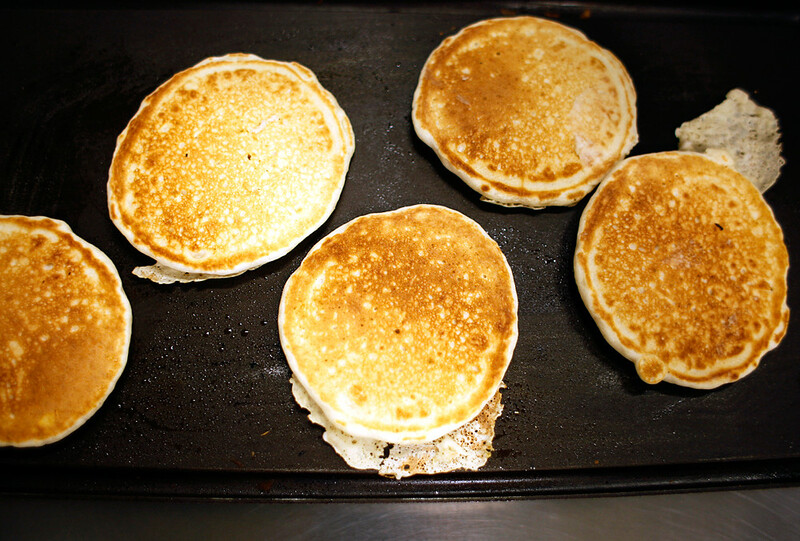 Five pancakes are almost ready to be removed from the griddle during the pancake breakfast hosted on Saturday, March 26, 2011, by St. John Lutheran Church on Mt. Rose Avenue. The church is hosting a pancake breakfast 8-11:30 a.m. on Saturday, March 26, 2011, in the school gym, to benefit the Japan relief effort, and is accepting donations of any dollar amount, and all donations will go toward the Lutheran Church of the Missouri Synod World Relief and Human Care fund. © 2011 by The York Dispatch. 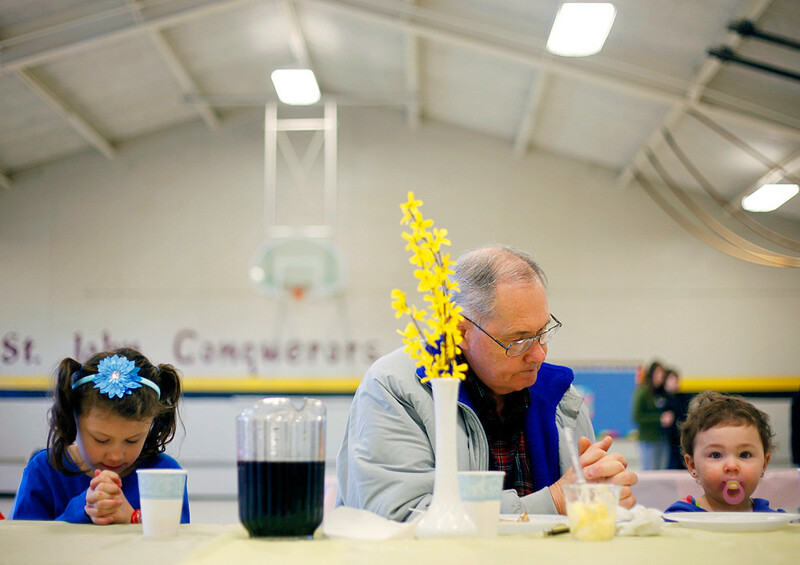 Isabelle Peregoy, 6, and Madison, 1, both of McSherrystown, join their grandfather David Peregoy of Spring Garden Township and other St. John Lutheran Church members in prayer at a pancake breakfast hosted by the church on Saturday, March 26, 2011, to benefit the Japan relief effort. I just called up Diane Imler, who was at the breakfast and helping coordinate things. She said the breakfast raised $1,150 this morning.